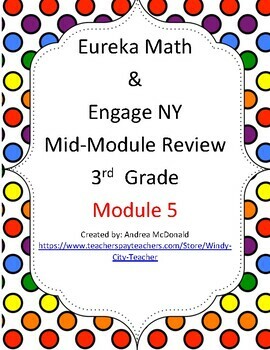 Support your implementation of Eureka Math / Engage NY with this mid-module review! 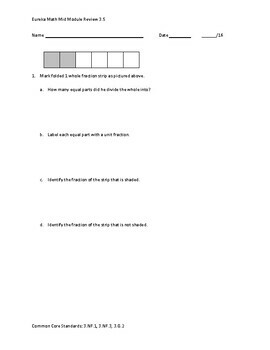 This review packet, modeled after the mid-module assessment task, was designed give you data to help with preparing for the mid-module assessment. Key and scoring notes are included. 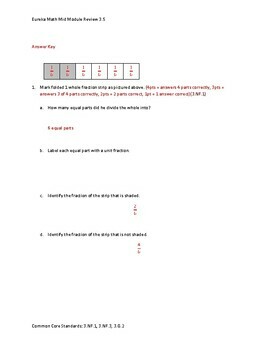 Scoring is based on Eureka Math’s learning goals to achieve mastery, but can be modified to fit your grading needs. 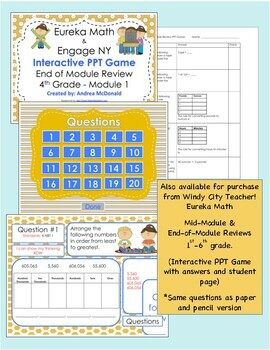 This mid-module review is a must for your classroom.